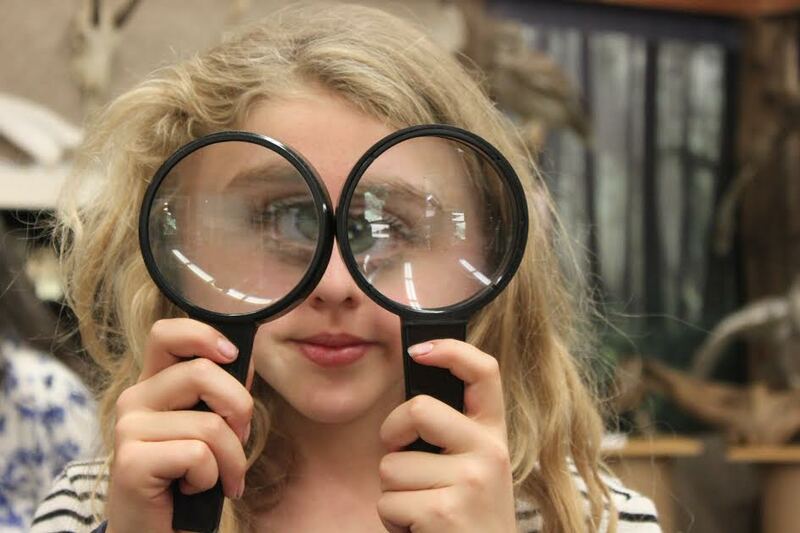 Earlier this summer a class from Saltspring Island visited the Centre as part of a Hornby Island tour. The visit was organized by their teacher Sarah Bateman. Sarah kindly sent us these photos. 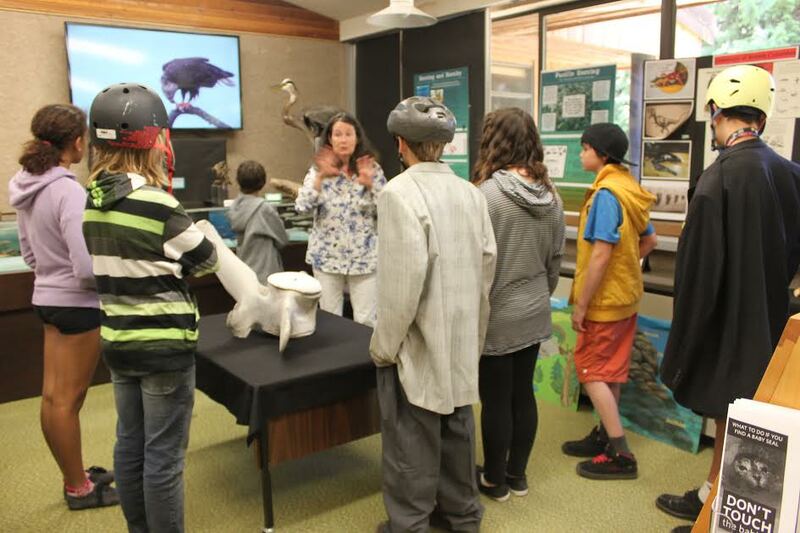 Below, Natural History Centre Steward Tina Wai leads a group of students through the exhibits. They have just been to the free store and some are wearing their new free store finds. 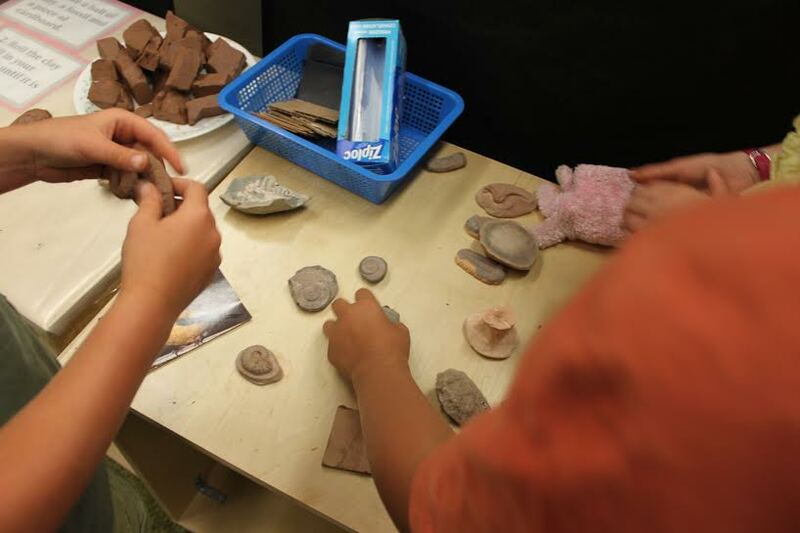 Students then participated in hands-on activities with clay. 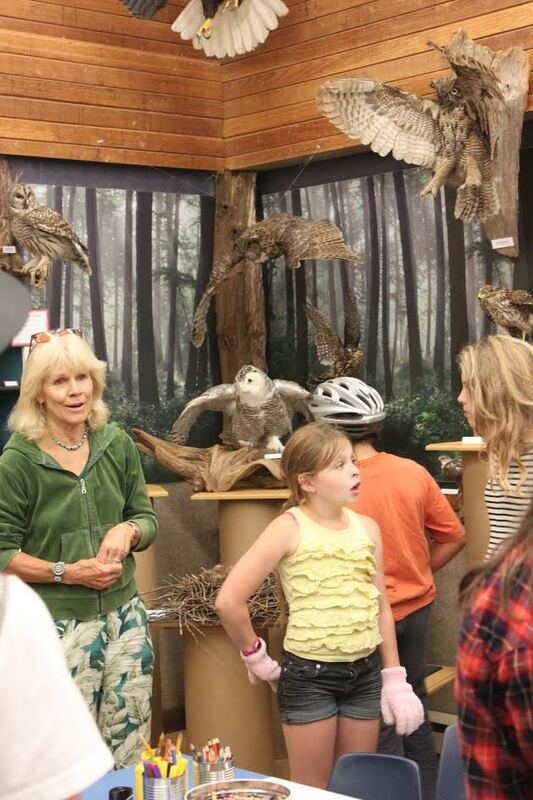 Natural History Steward Sally Englund showed students the bird display area. It was a fun filled nature day.